Livestock producers won a significant victory in court Sept. 30, when a judge in Washington D.C., soundly rejected unsupported claims that the United States Forest Service wild horse management plan would threaten the long-term health and well-being of the wild horse population in the Modoc National Forest. In 2014, the wild horse population in the Devils Garden wild horse territory of the Modoc National Forest was estimated at 400 to 700 percent overpopulated. The Forest Service plan would reduce horses to the Appropriate Management Level (AML) in the area and correct boundaries of the horses’ territory that currently incorrectly includes private property and other inappropriate USFS land. The reduced populations, livestock producers and USFS argue, would live up to the agency’s requirement to provide a “thriving natural ecological balance,” as described in the Wild Free-Roaming Horses and Burros Act of 1971. 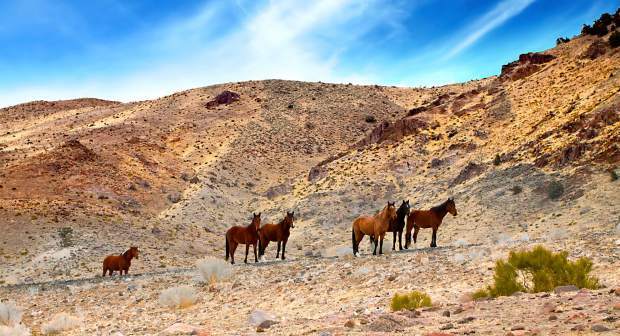 Additionally, the court ruled that the wild horse territory cannot be extended beyond the area occupied by the horses in 1971, when the Act was passed. The Western Resources Legal Center (WRLC) represented the Public Lands Council and the National Cattlemen’s Beef Association as well as California Cattlemen’s Association. A first of its kind law center, WRLC educates students on real legal cases, giving them the opportunity to gain valuable experience in the courtroom, while advocating on natural resource dependent entities.